This seemingly straightforward question has become more and more difficult to answer in modern times, and troubles people all over the world. These days, there are endless amounts of nutritional advice, trendy diets, supplements, opinions, contradictions, and information overload available to parse through. Scientific research is ever-expanding and gives us new ways to look at our foods and the diets we choose. Science has also changed the way we grow, consume, and prepare our meals. While there are many diets and systems out there that claim to have the “best” answer, we believe that the best approach is an individualized one. 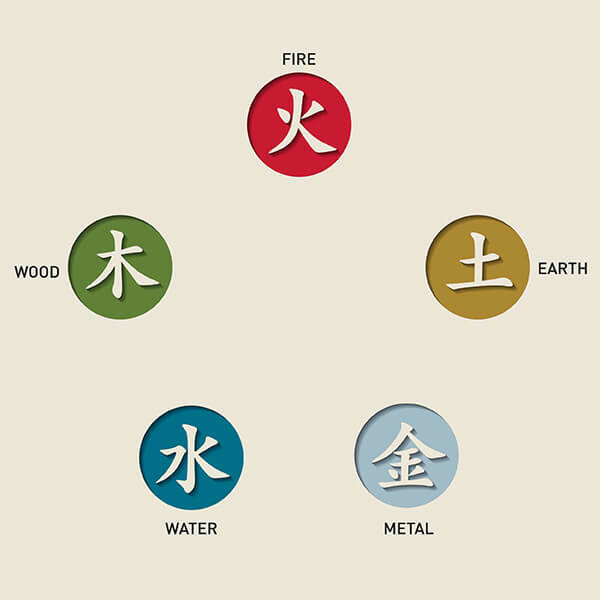 Chinese medicine sees everyone as their own unique person with certain constitutional tendencies and unique environmental and lifestyle considerations. For that reason, Eastern nutrition is one of the best ways to address diet. Eastern nutrition takes the individual into account and provides them with a toolkit to make good decisions based on their unique presentation, rather than fitting everyone into the same box. 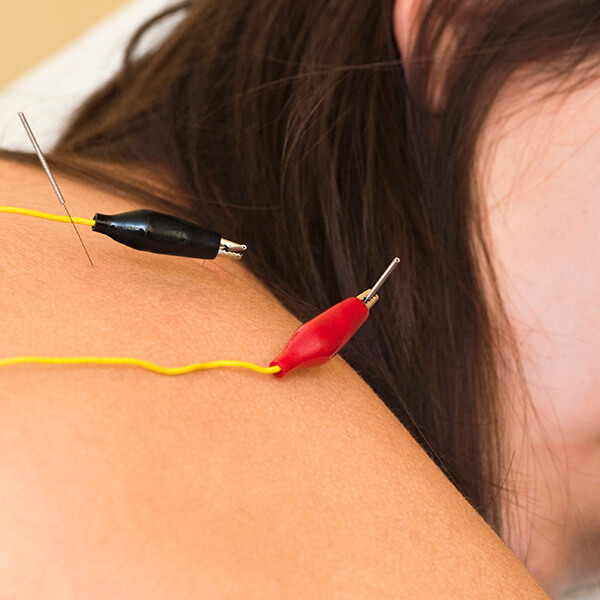 How Does Eastern Nutrition Relate to Chinese Medicine and Acupuncture? 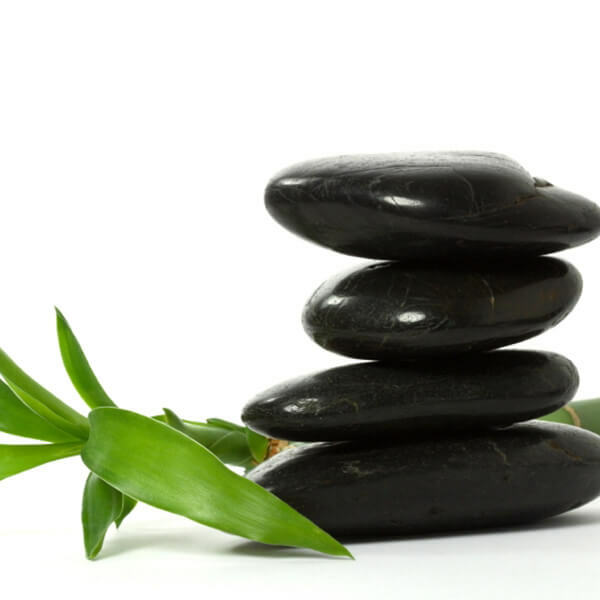 Chinese medicine is a complete and comprehensive medical system that dates back thousands of years. 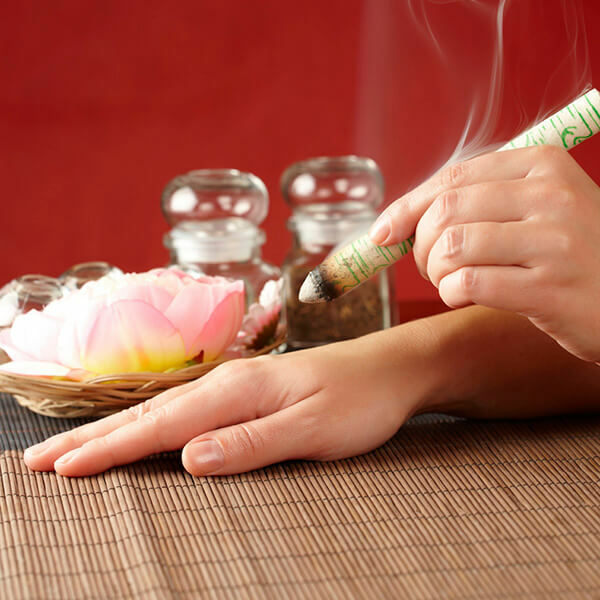 While acupuncture and cupping may be the most recognized aspects of Chinese medicine, several branches make up the entire system: acupuncture, adjunctive techniques like cupping and gua sha, herbal medicine, dietary therapy, medical massage, and exercises like tai chi and qi gong. One of the most important, although underused, aspects of Chinese medicine is dietary therapy or Eastern nutrition. One of Chinese medicine’s great sages of the Tang Dynasty, Sun Si Miao, was a pioneer in promoting diet over intervention. He taught that diet and lifestyle were to be the first defense in treating disease. Only if diet made no change in the patient’s condition was acupuncture, surgery, or herbal medicine to be used. Whether using diet or medicinals to treat disease, this holistic practice is always treating with the big picture in mind. 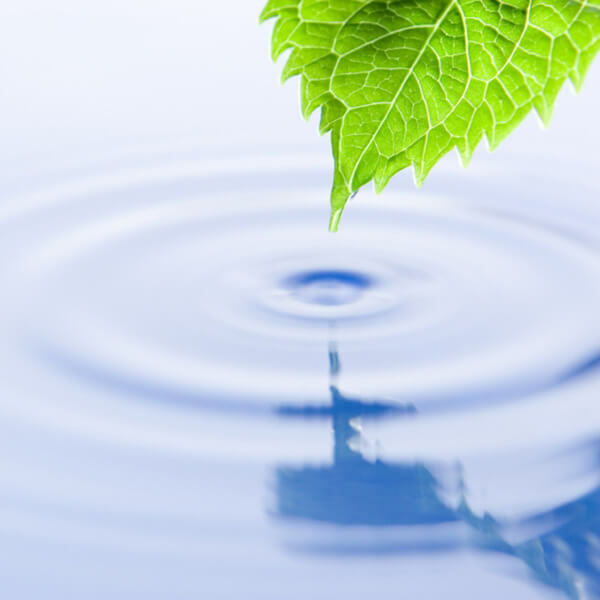 Chinese medicine views people as microcosms of the environment around us. The different aspects of the body act in similar ways to parts of nature and society. In the same way that the environment can suffer from droughts or become flooded, so can the body become too dry or bogged down with swelling. Chinese medicine diagnostics can detect these imbalances in the body, and Eastern nutrition can be used to reestablish harmony and health from the root. Unlike the patients of Sun Si Miao’s day, most patients today will require acupuncture and/or herbal medicine along with their Eastern nutrition plan and lifestyle changes. By incorporating Eastern nutrition into your Chinese medicine wellness plan, healing occurs faster and with more substantial and lasting effects. Embarking on an Eastern nutrition diet will help you be more empowered in your health and is a truly well-rounded, patient-centric approach to health. Eastern nutrition is a holistic nutritional system based on the core tenets of Chinese medicine. It is one of the most individualized and customizable plans and can be suited for anyone. Eastern nutrition considers the natures of food and how these characteristics may benefit or trouble a person. The goal is always balance and harmony. Below are a few underlying themes of Eastern nutrition. • At the heart of Eastern nutrition is the push towards a healthy, harmonious digestive system. The power of digestion is greatly revered in Chinese medicine, and it is thought that the health of the entire body is dependent upon the health of the digestive system. • Eastern dietary recommendations are made based on the individual’s constitution and health concerns. • Each food is categorized by its own “constitution.” We consider the temperature, nature, and flavor of foods to determine which are appropriate for each person. • While we may need to focus on certain flavors for our health, we all need a variety of all flavors to maintain health. • Eastern nutrition urges us to eat in accordance with our environment and the season. In general, during warmer months, focus on fresh fruits and vegetables. In winter, opt for warming soups and stews. Eat seasonal foods that grow in your local region. • Most people should avoid iced or chilled beverages and foods throughout the day. Warm or room-temperature drinks are the best choice. • Social, religious, and cultural preferences are all welcome and incorporated. • A balance of healthy exercise is an essential aspect of the Eastern nutrition diet. Chinese medicine considers the yin and yang in every part of life, and exercise is the yang to diet’s yin. We need to both to maintain a healthy body. • The way we eat can be just as important as how we eat. Mindfulness and gratitude matter when preparing and eating our meals in Eastern nutrition practices. Taking the time to sit, chew, and enjoy our food in a relaxed environment is the final ingredient. Foods are given temperature and flavor that helps us determine whether it will suit a particular person and their constitution. Some foods or categories have actions on specific organs or organ systems. Other foods have particular movement effects such as lifting or draining. Below is the breakdown and a few examples for each category. Who Can Benefit From Eastern Nutrition? Because Eastern nutrition focuses on each individual person and their constitutional and situational needs, it is an appropriate system for anyone. You may decide to take an Eastern nutritional approach to help recover from an illness or manage a disease, or you can use this system to improve your sense of wellbeing and feel your best. Each person will have a slightly different diet approach when it comes to Eastern nutrition, but the goal is the same: support the digestive function, nourish what is lacking, and reduce what is in excess. Chinese medicine and Eastern nutrition place high importance on a personal constitution. Your constitution is your makeup and tendencies towards imbalance. For instance, one may have a hot and dry constitution which will make them more susceptible to dry skin, sore throats, hunger, irritability, or sleep disturbances. By balancing out the heat and dryness in the body, eating more cooling and nourishing foods while protecting the digestive function, we can help to relieve or prevent these issues. Because we are all different and require different types of diets to help us find balance, no specific diet trend could be right for all individuals. Eastern nutrition understands that while a large frozen fruit smoothie for breakfast could be an appropriate meal for some, it could also be detrimental to others. By taking this approach to nutrition, you will always be making the right choice for your body. What To Expect With Eastern Nutrition? Most of the recommendations in Eastern nutrition are whole-food, plant-based resources. Because of this, if you have a diet heavy in processed or fried foods, sugars, or additives, you may experience some minor changes as your body detoxes with these cleaner foods. Eastern nutrition is highly based on constitution, so your personal constitution will determine which foods you should incorporate or avoid. Sometimes your constitution will also determine how you should prepare your meals. For example, someone with a cold constitution should eat mostly warm, cooked foods, where someone with a hot constitution can eat more raw foods but should avoid those roasted, hot foods. Once you are eating in line with your constitution, you will notice a wide range of changes. Simple things, like improved sleep, regular bowel movements, less bloating, more energy, and a greater sense of wellbeing are common. If you are battling with a specific health issue, you will start to see symptoms improving or going away completely. Eastern nutrition also offers some “kitchen medicine” to help you combat mild illnesses. The common cold can be tempered with a gingery, garlicky, miso soup and a headache can be put to rest with peppermint tea. This system will also promote health and wellness far past any mild, current issues you are facing. Your body will be much more likely to ward off seasonal colds, allergies, or stress-related conditions for years to come. You will also be more likely to avoid more serious diseases like cancers, heart disease, or diabetes and set yourself up for a lifetime of good health. Beginning an Eastern nutrition plan starts with identifying your personal constitution and considering any current health problems you are facing. This information will help guide you in choosing the right foods and cooking with the best methods for you. 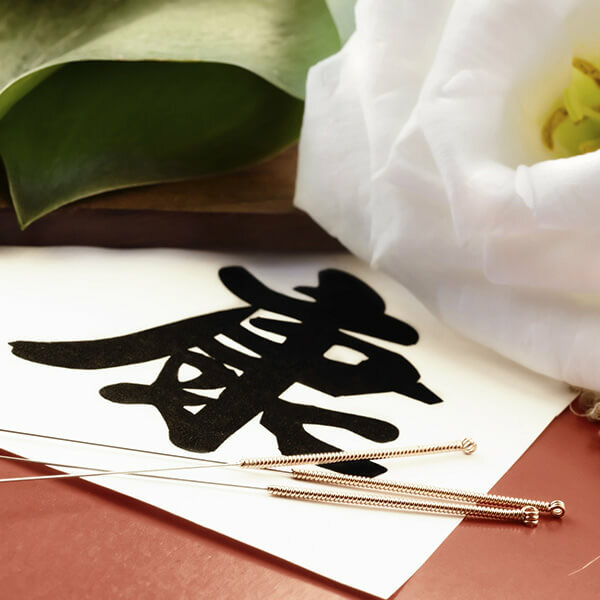 Determining your constitution and the nature of your health issues can be a little more complex for some, so it is best to make an appointment with an acupuncturist who can make a complete diagnosis. Based on your constitution, begin to incorporate foods that fall into categories that will support and balance out your needs, all while making sure to eat foods of every flavor and color if possible. Use cooking methods that are in line with what your body needs as well. If you have a cold constitution or are a yang-vacuity type, for instance, you will need to use warmer cooking methods like baking, roasting, and even stir-frying, but avoid eating raw foods. Consult with an acupuncturist or Chinese medicine practitioner to help you decide which foods will be best for you and which to avoid. Choose foods and methods that resonate with the seasons as much as you can. Remember to keep your fluids warm during the day and allow plenty of time for meal times. Practice mindfulness during mealtimes and savor your deliciously individualized meals and the fabulous health ahead of you! 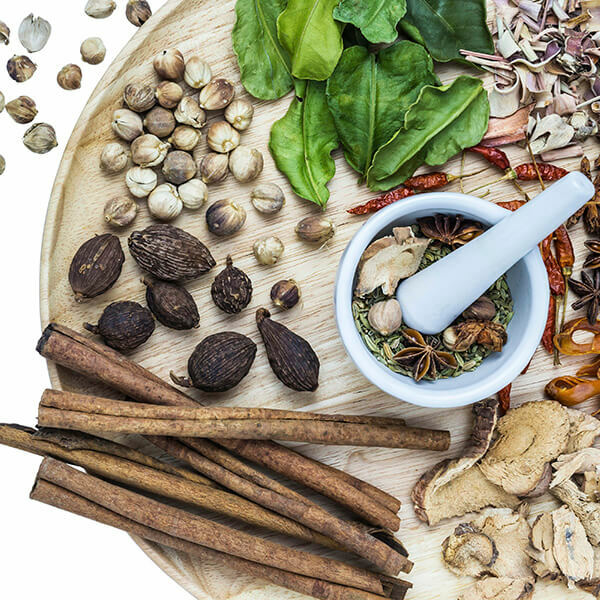 Learn more about the differences between Traditional Chinese Medicine and Western Allopathic Medicine..
Our licensed Chinese herbalist has over 600 hours of education and years of experience – learn more about this centuries-old practice. 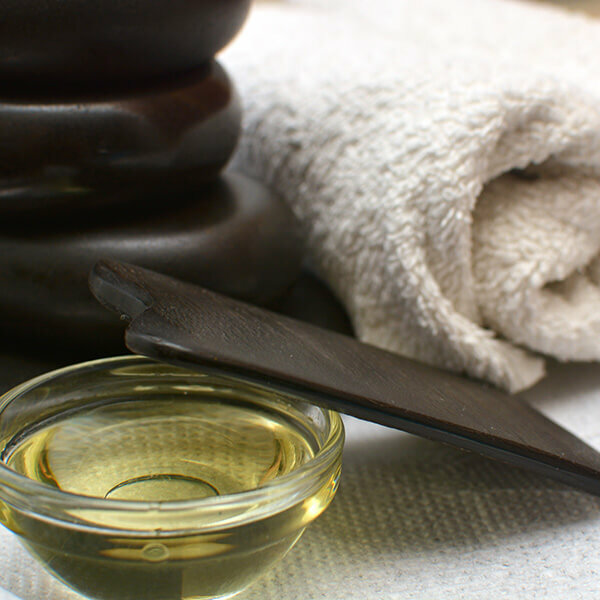 Gua sha technique is similar to cupping, but uses a ceramic spoon to treat parts of the body where cups aren’t as easy to keep in place. Moxa involves burning a small amount of herb to reduce muscle tension, relieve menstrual pain, turn breech babies and more! Ear acupuncture uses points on the ear to send electrical impulses to the brain and treat addiction, anxiety, depression, and many other conditions.